The versions of Git supported by Crucible are listed on Supported platforms. You can check your current version of Git by running the git --version command in a terminal (Linux, Mac OS X) or command prompt (Windows). This section describes how to install the latest stable Git release on your Mac. It does not describe how to update the version of Git that is bundled with Apple's Xcode. Download the Full installer for official Git for Windows. Installing Git for Windows (previously known as msysGit) also installs a supported version of Perl. Git for Windows is the only supported distribution when running Crucible on Windows. Cygwin Git is not supported and has known issues. 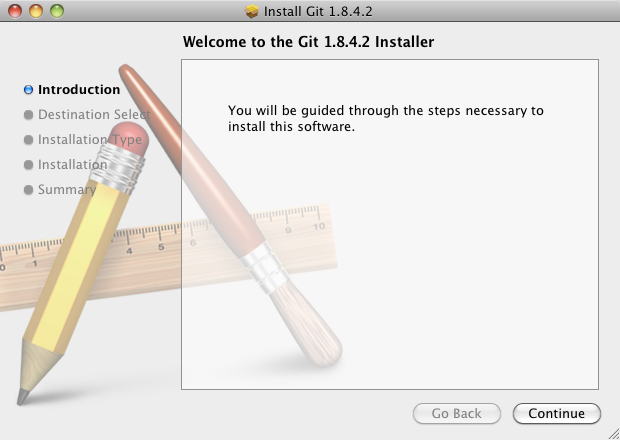 Run the Git installer, ensuring that you install into the same location as any existing Git installation. You can use where git to locate existing installations. Choose either Option 2, Run Git from the Windows Command Prompt, or Option 3, Run Git and included Unix tools from the Windows Command Prompt. Both these options will work with Crucible. Do not select Option 1, Use Git Bash only, when installing or upgrading Git for the Crucible server – this will not work with Crucible. You'll need to stop and restart Crucible so that it will pick up the upgraded version of Git.